New York City has two great art museums. The most famous is the Metropolitan Museum of Art in Manhattan, the other is in the Heart of Brooklyn. 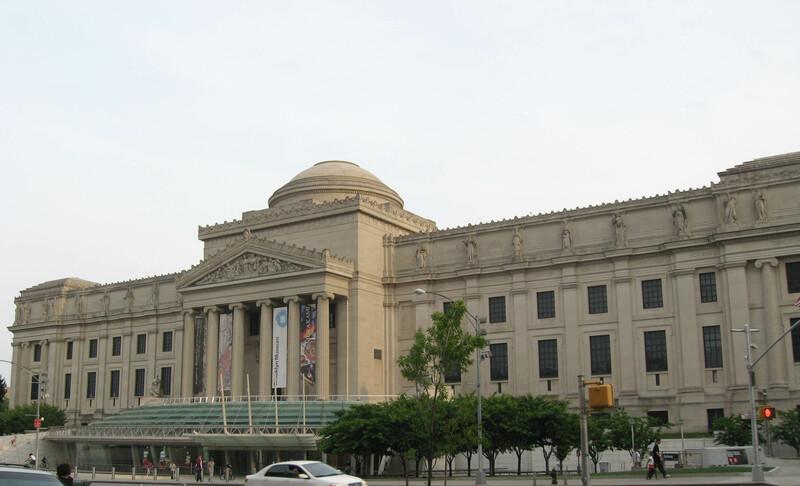 Located on Eastern Parkway the Brooklyn Museum is one of the largest art museums in the United States and one of the premier art institutions in the world. The permanent collections include a wide range of objects from ancient Egyptian masterpieces to contemporary art, representing almost every culture in the world. It is housed in a 560,000-square-foot Beaux-Arts building. The glass collection covers periods from ancient to contemporary. It breaks down as about 3,000 in Decorative Arts, 350 Egyptian, 560 Roman, 55 Islamic, 25 Oriental and 10 Contemporary. This information is from a 1982 source and may be dated. This blog entry is about the ancient Roman and Egyptian glass. The Brooklyn Museum has an excellent web site and most of their objects are pictured and described. This link will take you to the Brooklyn Museum’s web site and 583 pictures and descriptions of glass objects of Egyptian, Roman, and Ancient Near Eastern Art.